I have yet to try mine. Way cool man! I have a used version of these, given to me by a friend. To me, looks like an ordinary blacklight fluorescent like those used in bug zappers, but with UV transmitting glass. These are really historically important lamps to save! 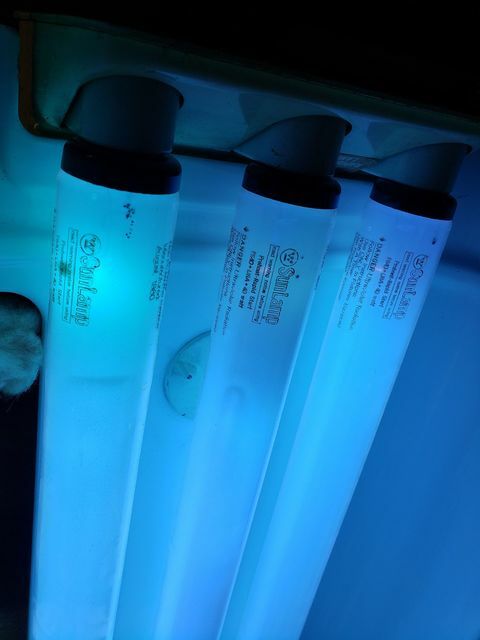 Westinghouse was the original inventor of ultra-violet tanning fluorescent lamps, they are pretty much unobtainable today or sell for enormous prices. Cool! No date code to decipher. The manufacturing date is printed on the etch.